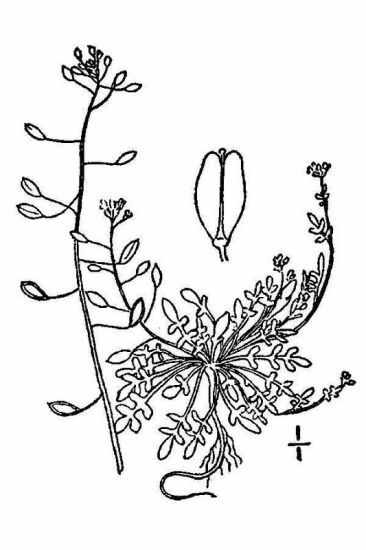 - Capsella procumbens (L.) Fr. - Hutchinsia procumbens (L.) Desv. - Noccaea procumbens (L.) Rchb. - Hymenolobus procumbens subsp. pauciflorus (W. D. J. Koch) Schinz & Thell. USDA-NRCS PLANTS Database / Britton, N.L., and A. Brown. 1913. An illustrated flora of the northern United States, Canada and the British Possessions. Vol. 2: 158.